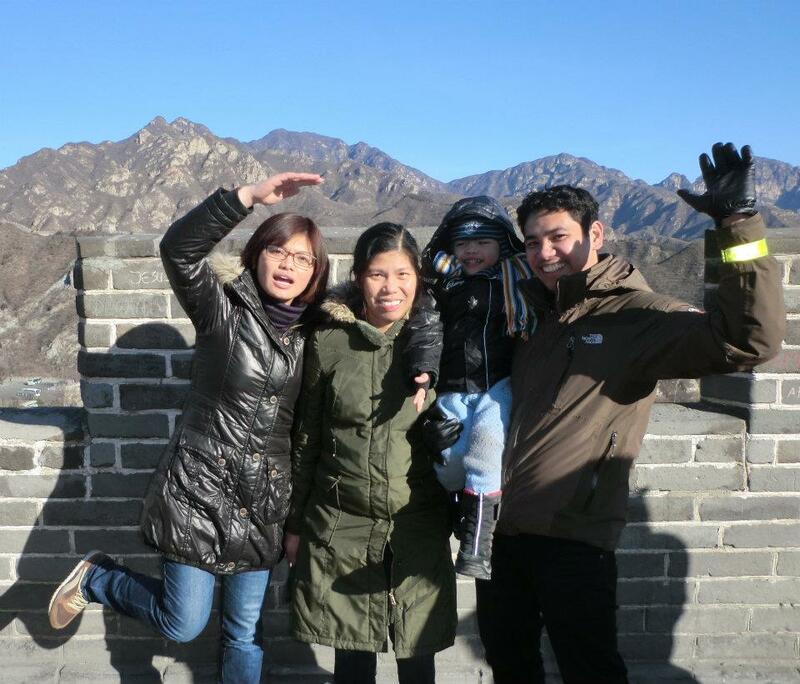 While I was in Sydney for four years doing my postgraduate stint, I was lucky to have two flatmates and very good friends (and now godmoms to my eldest son) coming from mainland China. This meant an abundance of hot pot sessions (marathon eating), dumpling parties and unlimited yum cha. I have checked out the Asian shops in Trondheim and Oslo but hasn’t found the secret sauce for the hot pot recipe. I have been to several Chinese restaurants in Oslo but none of them offer dumplings or yum cha the way I knew them. I have been missing these terribly so I was naturally excited to have some on our first day in Beijing. I asked our tour guide, Rain, to take charge and take us to a local restaurant thinking that finally, after six years, I could have authentic hot pot again. So, she took us to this obscure street and even more obscure restaurant which was very promising. As we got in however, we soon realized that it was authentic alright but maybe just a bit too exotic for us considering the menu has frogs in it and there was even a big terrarium in the front desk so you can supposedly pick your frog and choose how you want it cooked. And so, that’s how Beijing welcomed us. 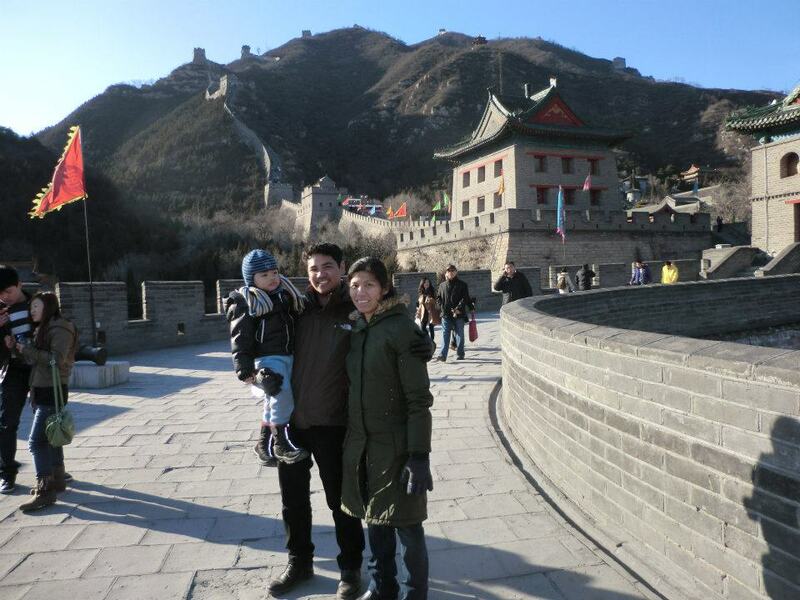 Rain knew her history by heart and walked us through it while we strolled The Great Wall. It was a massive structure not so much as a defense against invasions but more to proclaim the power of the emperor. This seemed to be a recurring theme as well in the other grand structures built to display the might of the emperor. Looking at the Great Wall, it would surely already deter the enemy from even thinking about fighting the emperor. 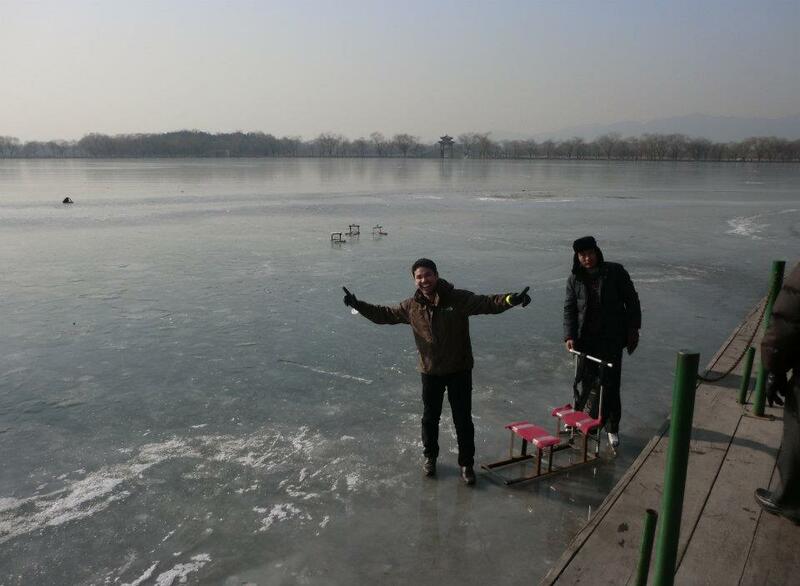 After the Great Wall walk, Rain took us to the Summer Palace and asked us if we are interested to walk on water. To which I declined, being heavily pregnant with Julia and of course not knowing how to swim in case the ice lake breaks. Joel, however, took the chance. We also had a chance to visit the Forbidden City, the home of the emperors. 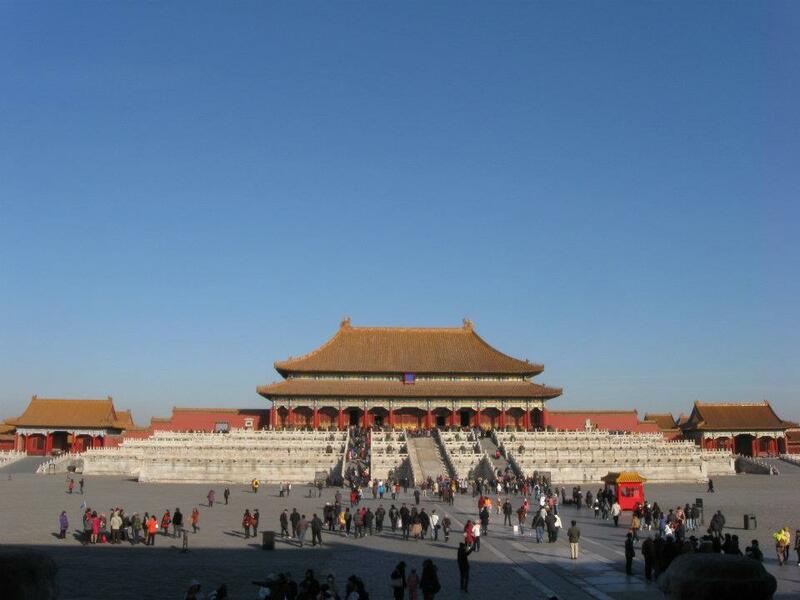 The structures in the Forbidden City were meticulously built and were designed strictly following Feng Shui to ward off bad luck. I knew how the Chinese take their Feng Shui seriously as our flat has also been Feng Shuied by my flatmates. Not knowing however how to do it in practice, they borrowed a book from the library and followed it. So we had bought a fish tank in, it is somehow believed to bring good luck, rearranged our furnitures and blamed our misfortunes and bad lucks (from grades, not getting interviews, our gold fish jumping out of the fish tank etc.) to not strictly abiding by the Book of Feng Shui. 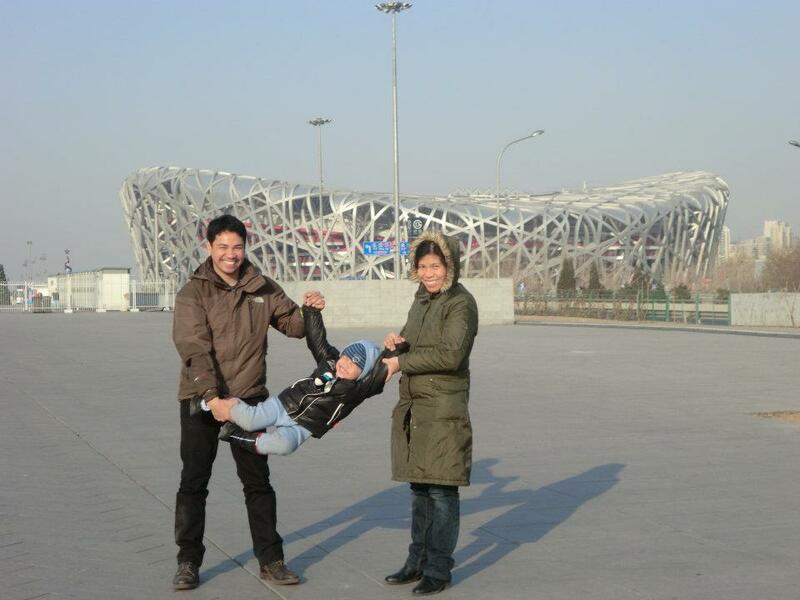 We also went to see the equally-grand contemporary structures in the Olympic site like ‘The Bird’s Nest’ in the photo below used as the Olympic stadium and the ‘Water Cube’ which is the site for the swimming events in the 2008 Summer Olympics. In the Olympic site, there is an area where visitors can get massages, or be checked by a traditional Chinese medicine man. I was checked myself and given prescriptions consisting mainly of herbal teas which I never drank as I wasn’t sure if it was for soaking the feet or for drinking. I wasn’t paying much attention to his instructions as I was more fascinated by what Joel had gotten himself into. As there was another guy who we were told was a foot specialist. He had a box of scalpel-like tools that he used to ‘fix’ Joel’s feet. He has even one small hammer that he used with a small chisel to remove disgusting dead cells from Joel’s feet. We can’t believe how much he has removed after he was finished. Yes, it was disgusting but Joel said it didn’t hurt a bit and he was going to find something like that in the Philippines as his feet has now the same texture as his face after the ‘fix’ . Rain also took us to the Silk Factory, where we had a chance to see how a silk cloth is made. As we saw, it is a very tedious process, from how the silk threads are taken from the cocoon of the silk worms up to the finished material. We bought a quilt as souvenir for this. She also took us to see the pearl and jade factories where we got to see how these are processed. We do have a big freshwater pearl industry in Palawan but I never got to see how these are produced. For instance, I never thought that one clam could hold up to ten pearls. Yes, a freshwater clam can. There was also the Tea House, where we were given a demo of a small tea ceremony followed by tea-tasting. We bought loads of the slimming tea as presents for our relatives. We were in Beijing for a week and were lucky that our guide Rain was very informative and had lots of interesting stories to tell. One that stuck to me was not about Chinese history but how she got a big scar on her arms. She got it from a motorbike accident that she thought she wasn’t going to survive. She was tossed high up in the air when the bike hit an oncoming vehicle and when she landed, she can’t believe she was alive. From that day on she said she has learned to live everyday as if it were her last on earth – she travels as much as she can and just, well, ‘live’ as much as she can. In between our works, our obligations, we follow her example and also ‘live’ as much as we can and go to places like Beijing for example to eat frogs, walk on water and get feet makeover.